So what does this mean for employers that use social media as a recruiting tool? To find out before it’s too late, here is a refresher on the Age Discrimination in Employment Act (ADEA) replete with tips on avoiding age discrimination when using social media to recruit future employees. The main federal law governing age discrimination is the ADEA, which celebrated its 50th anniversary last year. The ADEA prohibits employers from treating applicants or employees who are age 40 or older less favorably because of their age. 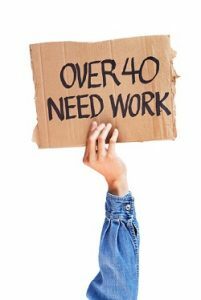 More specifically, the law provides that someone over the age of 40 may not be discriminated against in terms of hiring, firing, promotions, pay and other employment opportunities. The ADEA also specifically prohibits statements of age preference or age limitations in job advertisements and notices (except in cases where age is a bona fide occupational qualification (BFOQ)), discrimination in apprenticeship programs and denial of benefits to older employees. The Facebook advertising lawsuit and the ADEA’s recent anniversary have brought the age bias law into the limelight once again. Additionally, while the federal ADEA is probably the most well-known age discrimination law, it’s important to remember that many states also have laws providing employees with additional protection. Asking any preemployment questions that may suggest discrimination based on age. Properly crafting job advertisements is critical in preventing age discrimination in an employer’s hiring process. Employers should draft job ads in a way that will not discourage older applicants from applying. Employers should also avoid listing any preferred graduation years or years of experience. If an employer is trying to attract entry-level employees, a better strategy is to specify the job as “entry level” and describe the competencies required for the position. Employers should review and analyze their current job advertisements and descriptions to see if there could be any potential discrimination issues against applicants 40 years of age or older. If there are concerns or questions, amend the ads or descriptions accordingly. It’s important for employers to have a broad range of recruitment strategies. An employer should place job advertisements in places where they will reach all potential applicants, using all available channels to advertise open positions. This means it’s important that employers not focus solely on platforms like social media or college fairs, which are more likely to produce mainly younger applicants. Using platforms that only target specific age groups. A diverse workforce is often a critical part of an organization’s success, and employers should include age in their diversity programs. Hiring older workers can be a golden opportunity for employers to add a key demographic to their workforce that brings along competitive labor market advantages, such as loyalty and high motivation. Older workers remain a large part of the US workforce, and that is expected to continue. In fact, according to the National Council on Aging, over 40 percent of Americans who are 55 or older will be employed and will make up over 25 percent of the workforce by 2019. As a result, it’s especially crucial for employers to review their hiring processes to prevent age discrimination and make sure they are set up to embrace older workers. What hiring practices do you have in place to prevent age discrimination in your organization? Let us know by leaving a comment below.